Blocked drains Sydney wide? Stop your drains from clogging with a professional reline today. 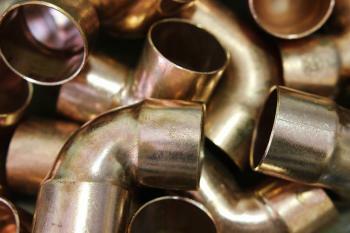 Call the experts: Call Plumber To The Rescue for pipe relining services Sydney wide on 1800 620 227. With over 30 years of relining experience and licensed, qualified technicians available 24/7, we’re the local relining heroes! Always close by, always ready to rescue you, your team are friendly, professional, and have all the tools in their kit to reline your pipes and get your plumbing back on track today. Call now: call Plumber To The Rescue for your leading Sydney pipe relining service on 1800 620 227, or click here to book your job online. We repair what your husband “fixed”! As your blocked drain experts we specialise in all things drainage and can provide guaranteed pipe relining solutions for all sewer and drainage. We can protect your pipework from tree roots, with our Vaporooter solution in combination with a reline an effective long-term fix for ongoing tree root issues. If your drain is gurgling, smells bad, or slow to empty, it’s time to call your local plumber on 1800 620 227 for expert advice and service. We’ll get to the bottom of it. Pipe relining preserves your initial plumbing installations, reinforcing pre-existing pipes with a new interior to protect against tree roots, pressure, or corrosion. By using the latest technology, we can reline your pipes without the need for a huge dig-up, keeping your garden nice and neat. When you need a pipe relined, it’s easy. Simply pick up the phone and call 1800 620 227 for the plumber Sydney trusts for all blocked drains problems Sydney wide. We’re always close by, always ready to rescue you! Our expert plumbers in Sydney will identify the need for a reline after a full investigation of your plumbing issues. We use drain cameras and other investigative tools to get to the bottom of a blocked drain problem, using the most sophisticated tech we’ve got to find the root cause of your issue. Once we’ve identified a potential need for a reline, we’ll let you know and quote on the job. Because we operate on a fixed price, you won’t have any surprises in the bill; you’ll always be in the loop on the costs. A no-dig pipe reline is an economical and speedy solution to many ongoing blocked drains issues. By replacing the interior with a pipe, effects of corrosion and damage to the inside can be repaired without having to dig up your whole backyard and cut sections of pipework out. Many older properties such as Federation-style houses can have outdated sewer plumbing which simply can’t cope with modern demands and can’t compete with modern technology. Relining uses the existing pipework to bring a line up to date without making as much of a mess, or potentially damaging other aspects of your home or property. Relining is cost-efficient and takes less time than a full dig-up. A reline project is still cost and time intensive, definitely, but compared to replacing the pipes outright it will make your final invoice look much friendlier. As a cost-effective solution to ongoing blocked drains issues, pipe relining has some limitations. The age of the pipes, their location, material composition and complexity of your system may all influence the potential success of a reline. That’s why our plumbers use sophisticated technology such as our drain CCTV cameras to investigate potential relining works before commencing. The latest in tech combined with good old fashioned hard work and professional instinct means we can get to the bottom of a blocked drain and identify the need for a reline; then, with your approval, we can get to work right away. For over 30 years Plumber To The Rescue have been the plumbers of choice across Sydney, from the Inner West and North Shore to the Easter Suburbs and beyond. Licensed, qualified, and insured, we’re trusted for great quality of work and a 100% workmanship guarantee on all jobs. Honest and fair, we provide up-front pricing before beginning works and we won’t deviated from the quoted cost. With over 30 years of experience servicing Sydney, we’re your trusted experts. Call Plumber To The Rescue today for on-time service and reliable repairs. We’re your pipe relining team – the blocked drain experts! Call now on 1800 620 227 or click here to book your job online.